What is your recipe for a successful family? What does it take for us to work through conflicts together? Or will the ties that bind come undone when times are hard—or when we bid our final goodbyes? 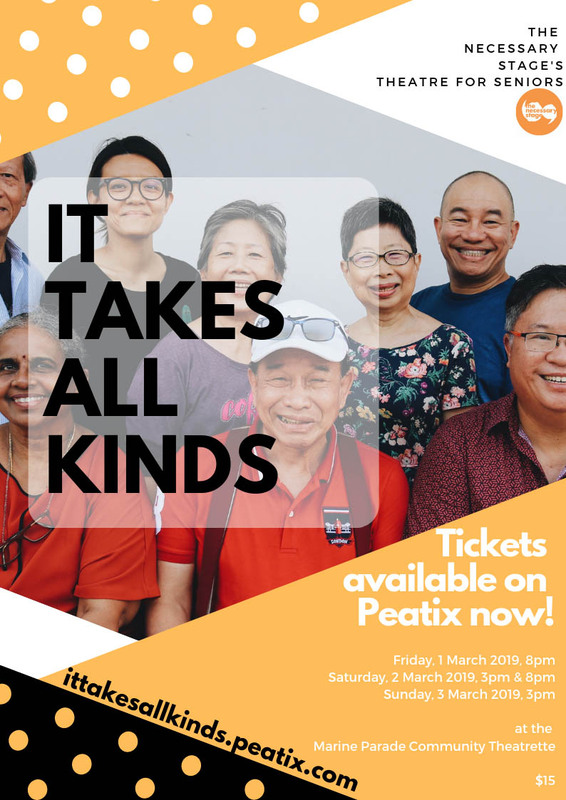 The Necessary Stage's Theatre for Seniors celebrates its 10th anniversary with It Takes All Kinds, a heartwarming performance about love in our families. Developed in collaboration with Setagaya Public Theatre from Tokyo, the devised production is created by our seniors and residents through workshops exploring their real-life experiences and perspectives. It takes all kinds of ingredients to make a winning recipe of familial love. We invite you to savour ours, and hope to discover yours as well at the theatre. Located at the Marine Parade Community Building Level One. Purchase your tickets at ittakesallkinds.peatix.com now! Saturdays@ACM: Eggs Not Over Yet!